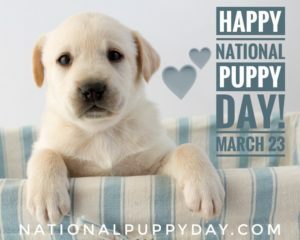 Did you know that National Puppy Day is March 23rd? While celebrating the “magic” of puppies can happen any day, there is one day each year that focuses on saving orphaned puppies across the globe. It also is a day that is in existence to help bring to the light the “horrors” of puppy mills. Who created National Puppy Day? Colleen Paige, founder of National Dog day and National Cat Day, has made it her mission to create days that help recognize and improve the lives of animals and the people that love them. Colleen is a celebrity Pet & Home Lifestyle Expert and Author. She carries many titles and her advice is highly sought after. She is known as an animal behaviorist, writer, interior designer, photographer and more. National Puppy Day promotes the adoption of pets. While reputable breeders to exist, the existence of puppy mills and backyard breeders is on the rise. In fact, according to National Puppy Day, up to 10,000 puppy mills can be found in the United States alone. Furthermore, retail stores that sell puppies are the primary reason for that staggering statistic. If these puppy stores didn’t sell puppies, puppy mills would cease to exist. Puppy mills exist solely to be a money maker. It’s a business and not a good one. The animals are not cared for. The conditions in which these animals live are atrocious. The puppies are crammed in tight quarters, in which some never leave. In addition to that, they don’t receive proper vaccines, health care and are taken from their mothers way too soon, causing lifelong social issues. Once a dog can no longer produce puppies, they are killed, sold to another back yard breeder or abandoned. Responsible breeders do exist. If you are set on getting a pure bred dog, it’s imperative you do your homework and not get hooked by a few cute photos of a puppy on the internet. You should be aware that any reputable breeder will come with a fine reputation. It is ok to ask for written and verbal testimonials to denote a strong history of ethical breeding. You should also search the BBB for complaints. A reputable breeder will also be licensed to sell puppies! When you go to look at the puppies, be sure that you are allowed to see the mother and the father of the puppy! Puppies should seem like they are part of the family because to reputable breeders, they are! Any signs of injury, weakness, sickness lethargy are warning signs. How can I help promote National Puppy Day? Promoting National Puppy Day is more than just adopting a puppy! It’s about using your voice, heart and resources in any way that supports the overall cause, which is to reduce the number of animals that end up unwanted and in shelters. This starts at home folks with your very own dogs! Here are some of the ideas shared at the National Puppy Day website. Educate yourself on training your dog no matter what age he is. Donate your time, money, resources and energy to local shelters. Advocate at the state level to get puppy mills banned in your state. Rally the troops! Share the plight of puppy mill puppies on social media. Help an elderly neighbor walk, brush and play with their dogs. 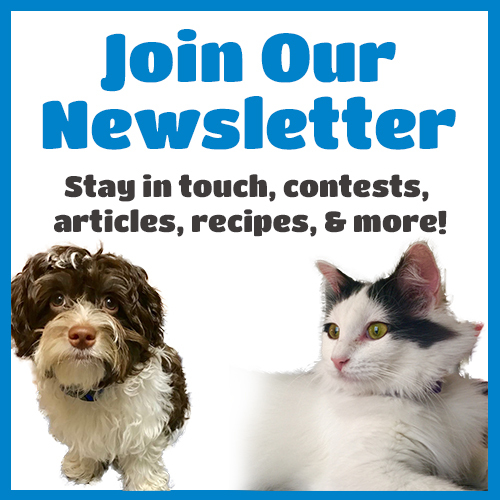 Celebrate your puppy with a “pawty”! Invite over friends! Exercise your puppy every day by going for walks. Groom your puppy. Brushing promotes a strong bond and it feels good! Puppy proof your home and yard. Go green! Eliminate toxic cleansers in your home. Buy your puppy a new toy! Treat your puppy to a massage. Invest in obedience school for you and your puppy. Hire a pet photographer so you can always remember your dog as a puppy! Feed your puppy a healthy, all-natural diet. Buy a first aid kit and invest in a pet first aid class. 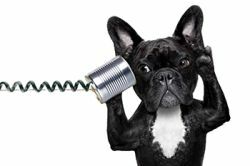 Spay or Neuter your puppy! Teach your children how to properly handle your puppy. Never tie your dog to a tree or leave him out in the freezing temperatures. Love your puppy by praising him and petting him every day. Show your puppy patience every day. Are you ready to do your part? 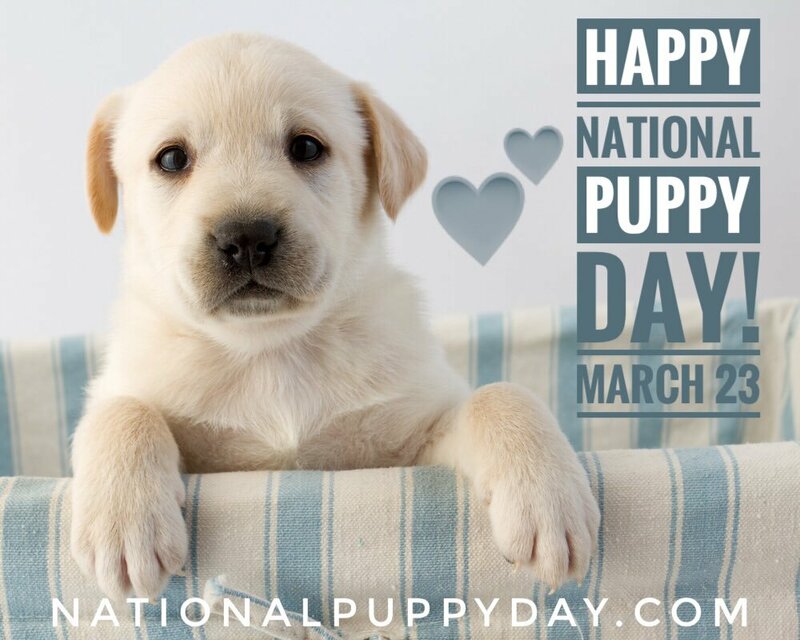 Whether you have a puppy or not, you can promote National Puppy Day! Devoting your heart, time and resources can help save a life and reduce the population of unwanted puppies!